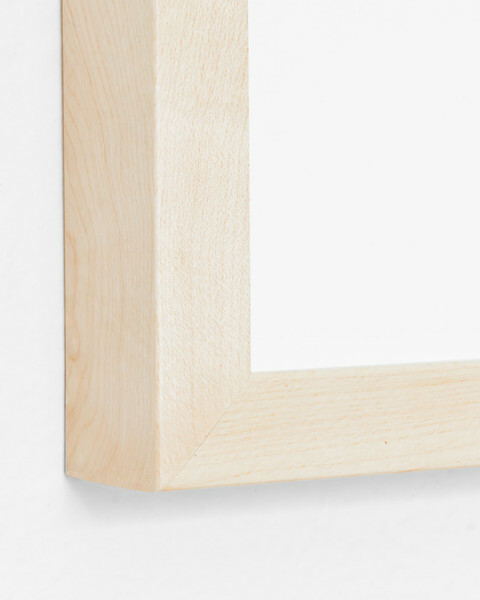 High-quality custom frames are the perfect way to display and protect your art print. Professionally matted and framed prints are available in three styles: Gallery Black, Gallery White and Gallery Natural. Your print will arrive beautifully displayed in a clean modern frame complete with custom mat and wall hanging hardware. Production time for custom framing is approximately 7 to 10 business days. Final measurements may vary to accommodate different dimensions of printed artwork, but framing generally adds approximately 3" of mat and 3/4" of wooden frame on all four sides of the image. It will arrive straight to your door securely packaged and ready for display. Hang it up and enjoy your favorite artwork for years to come!